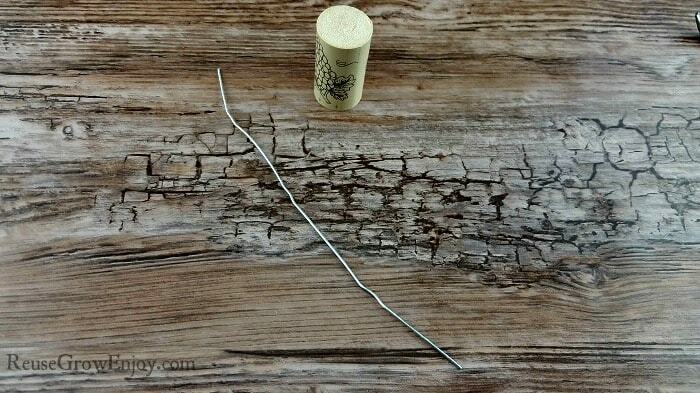 If you are someone that enjoys a glass of wine every now and then, do you toss out your corks? If you do, you should stop! 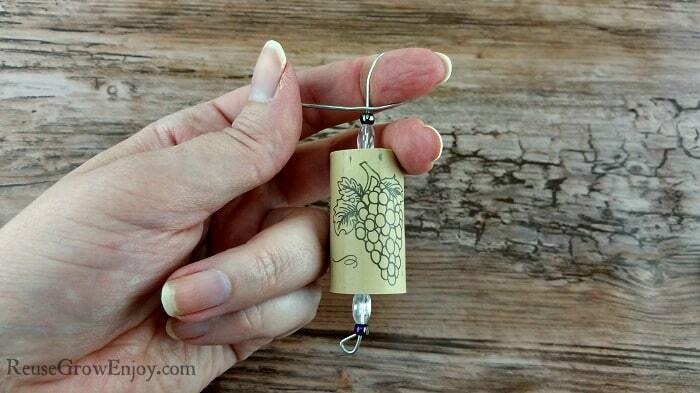 There are all kinds of cool cork craft you can do with them. 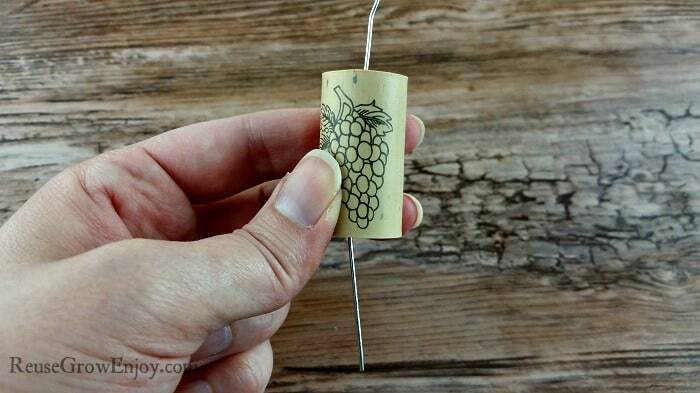 I posted one a little while ago for DIY Wine Cork Plant Markers. 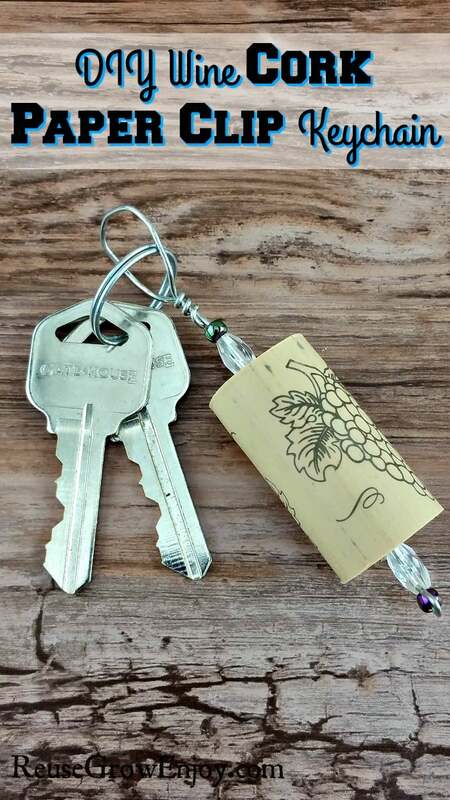 Now I am going to show you how you can take a simple wine cork and a paper clip and make a handy keychain. The first thing you want to do is to straighten out the paper clip into a straight line. Well as straight as you can get it that is, it may have a few little bends in it and that is ok.
Next step to this cork craft is to push the paper clip through the cork. You can leave one end longer than the other as we will work that out in a few steps. 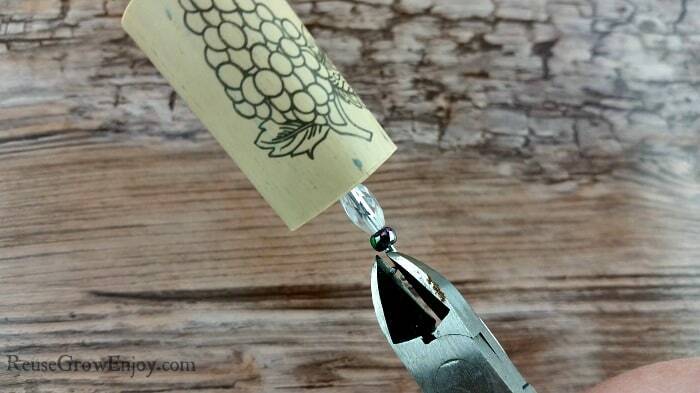 Next slide two beads on one end of the clip, pushing them up to the cork. 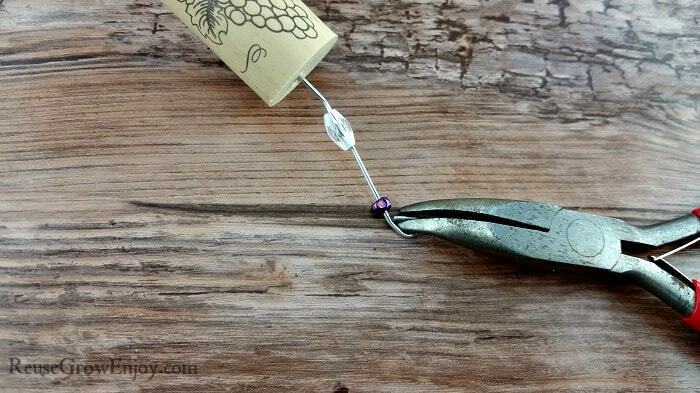 What beads you use really does not matter as long as the whole in the center is large enough to fit on the paper clip. I just used a few jewelry beads I had on hand. One is a longer shape and then just one that is round. Still working on that same end you just put the beads, use the needle nose pliers to bend the paper clip around so that it is touching itself. 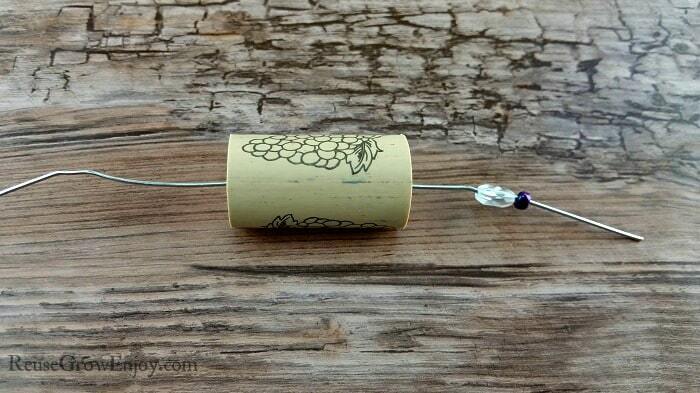 Now slide the other two beads on the other end of the paper clip. This time, when you bend the clip, you will kinda twist it around your finger loosely. This way you can leave a big enough space to add keys. Now twist the remainder of the clip around itself. Be sure to wrap it around a few times so that it can not pull loose easy. 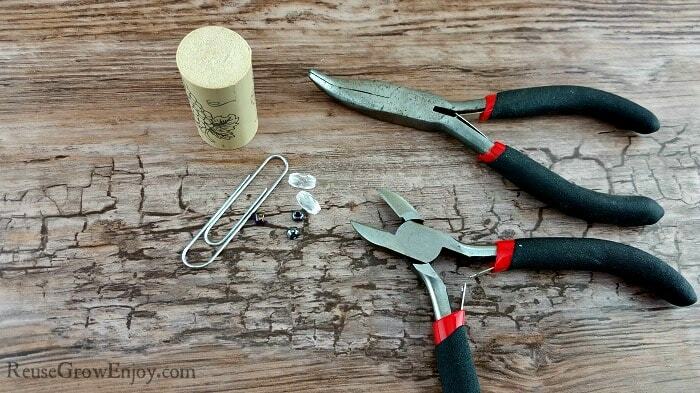 Using the wire cutters, trim off any long pieces. Then take your pliers and squeeze the end of the clip so that it is pushing against itself with no sharp ends sticking out. That is it! You now have a cool new keychain to keep for yourself or you could even give it as a gift if you want to. 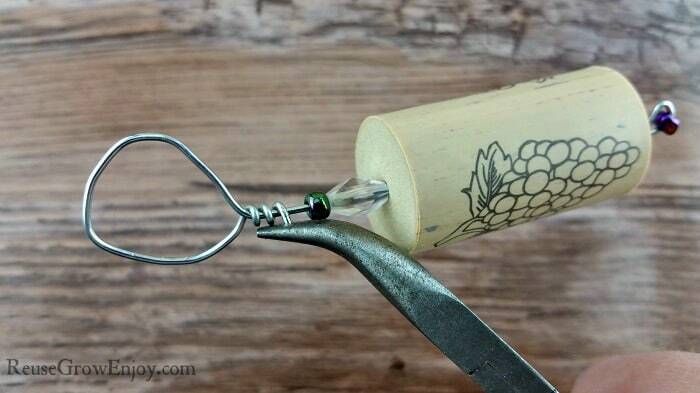 What ways do you like to reuse your wine corks? DIY Sweater Box, Super Easy To Make! I love this for all my friends who drink wine.